Thanks to a dear friend who I lived with before I got married (thankyou Annisa) I was taught a system of planning family meals for the week. We had a notepad on the cupboard door and we would plan out the meals for the week and check the pantry cupboard, fridge and freezer and write down ingredients also as we ran out of them. I had never really had done that before, more haphazzard meal planning and therefore made more trips to the supermarket. Now fast forward 10 years later, both my husband and I do this still. 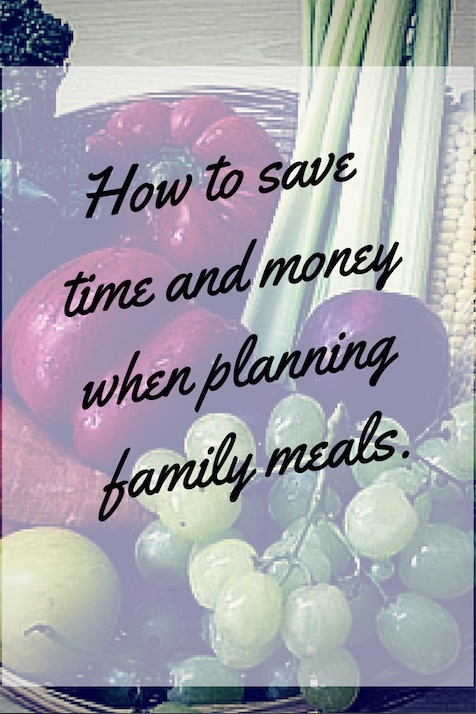 It means we only buy what is on the list and what is needed for the meal plan. It also saves an enormous time at the supermarket. I must admit I used to be a ‘freezerholic’ and a ‘pantryaholic’ with sauces and other grocery items, just in case I might need them. I have stopped that bad habit and our grocery bill has literally halved. I love Pinterest and always have a board when doing research. So, here are my two boards on ‘Organisation’ and ‘Organisation Templates’. On our fridge, we have two magnetic pads, one for the meal plan and one for the shopping list. There are a few different brands that I do love. Kikki K is one of my favourite stationery brands and they have several products ideal for meal planning dependent on your planning style. Some people just like a straight list (make sure it’s magnetic) if possible. 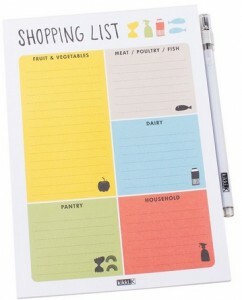 Here is a shopping list in a straight list and one organised into food categories. 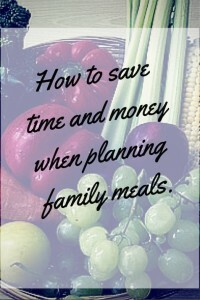 For meal planning I currently have this product and have used this book in the past (includes tearable shopping lists, where to find recipes and meal ideas all in one book). If you have a Big W near you, I have discovered the ‘Organizher’ range. 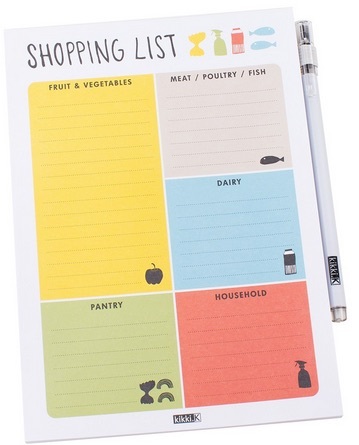 They have a write’n’wipe monthly, a 75 sheet magnetic notepad with a split shopping list (to buy, to do) except I use one side for groceries and the other for fruit and veg and of course a meal planner. They also have a great Facebook page. I just came across this great blog post about how to brainstorm all your meals that you use so that you aren’t stuck what to cook each night. I often find half the problem when you are meal planning is actually remembering the meals you have cooked. This is a great spreadsheet (can even use it ‘Excel for iPad’) where you can brainstorm all the types of meals you create. We also try and incorporate one new dish a week (even if it is a variation on an existing meal). Here is a great list from Mum’s Grapevine of great apps ready for shopping. I also use Anylist as I can share this with my husband (so we don’t double up). Paprika is my recipe manager (iOS) and I love having it on the iPad. I love this as I can create a shopping list from the recipes I have saved. 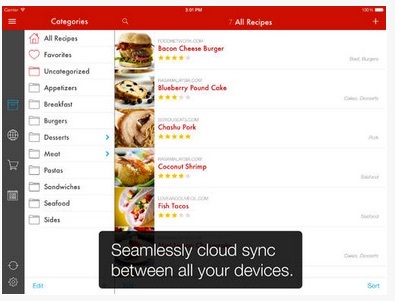 If you love baking or having your recipes all in one place, this is the app to have! Two years ago I was blessed to have a ‘Professional Organiser’ come into my home for two hours (for a blog review) and help de-clutter my working space. Two professional organisers I would recommend in Melbourne are Nicola Evans (Sort it Now) and Denise Childs (Systems for Order). Both of these ladies are amazing and if you are struggling with clutter (or just don’t know where to start) a great present for yourself that will help the whole family. If you aren’t in Melbourne, look up the Australian Association of Professional Organisers. Tech Coach HQ has been working with clients to help de-clutter their digital lives. If you can’t find your files, have no systems in place for email, or your folders (and your desktop is cluttered) contact Tech Coach HQ to get your life in order!